Supply chain managers need to get ready for the next stage of the Internet of Things (IoT). Business research company IHS Markit forecasts that the IoT market will grow from an installed base of 15.4 billion devices in 2015 to 30.7 billion devices in 2020 and 75.4 billion in 2025. We are at a very exciting phase in how IoT technology and solutions are being deployed in supply chain and related operations. What is meant by the next generation? It describes IoT products and solutions that will be more software centric with robust cloud technology and an open architecture that enables connectivity of fixed and mobile devices, sensors and actuators. The next generation technology will provide for multi-tenancy or the ability to easily encompass ecosystem participants such as customers and suppliers within the IoT network, and the flexibility to work with different IoT devices and technologies. 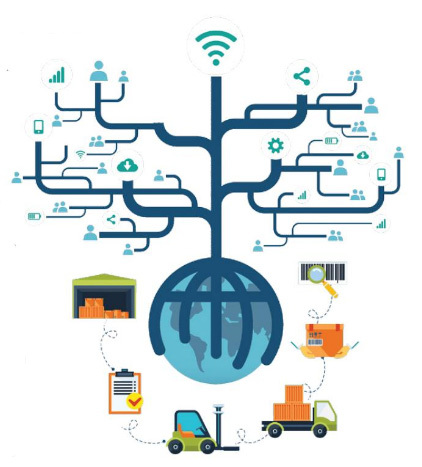 With this kind of platform in place and the choices of devices and technologies multiplying rapidly, IoT can become an integral part of the business, helping supply chain managers to comply with regulations, link with and provide benefits to their customers and suppliers, increase efficiency, break down silos and launch new business services. As supply chains become more complex, managers need to know what is going on across their entire network, communicating with suppliers and customers at the same time. Any weak points in the chain can cause problems. The importance of the automation of supply chain hand offs, where processes between different lines of business meet, such as warehouse and transportation operations, or where a supplier’s process meets a customer’s process. Processes at hand-offs are typically manual and often lack visibility and control, resulting in errors that can have serious negative downstream effects. For example, a cold chain process, when perishable products are loaded from a warehouse onto a reefer. Despite having good temperature control, the reefer’s door could be open for too long, affecting the quality of the product loaded closer to the door. Improved IoT technology makes locating and monitoring these errors far simpler and, crucially, it can break down information silos, making it easier to comply with rules such as the FSMA regulation in the U.S, which require visibility and traceability throughout the supply chain. It can also help build a better relationship with customers at the end of the supply chain, for example by making it much easier and quicker to do a recall in the event of product contamination. Ultimately it is supply chain execution that can really determine customer satisfaction and loyalty. 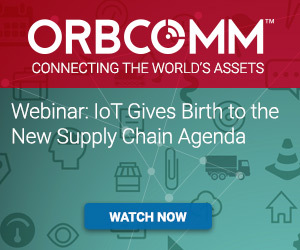 In addition to supply chain operations, IoT can drive benefits in other operational areas. For companies managing or owning fleets, having additional real-time data such as GPS location information and engine data provides for more efficient fleet management, such as in-transit visibility, efficient dispatching and reduction of unscheduled downtime. For example, it can be extremely costly if heavy equipment goes down on a mining project. 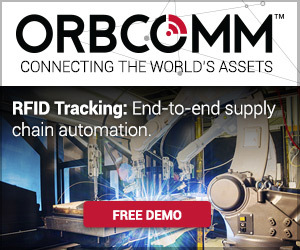 By RFID tagging key components in the heavy equipment, operational and service personnel can get more accurate, granular knowledge of the usage of each component beyond the higher-level metrics such as engine mileage data. For a component that has been transferred between different machines, tracking at a component-level by linking together its actual usage with each and every machine’s engine hours it has been on, provides accurate usage of that specific component. This usage might have increased that specific component’s level of wear compared to other components on that same machine. This insight drives the decision for replacing or servicing that specific component earlier than the other components on that machine, thus preventing a failure which in some cases could have catastrophic implications. Increased and actionable data, if analysed correctly and on time, leads to better decision making. It can also open up new opportunities and enable businesses to launch new products and services. IoT provides real-time granular and actionable information. Once customers start seeing the rich, actionable and high-fidelity information they receive through their initial IoT investment, they start re-imagining how to run their operations and making them more efficient by enabling new use cases. To take advantage of these opportunities, operations and information technology executives need to find a comprehensive IoT platform that can incorporate various technologies and devices, is scalable across users, business units and enterprises; and is flexible enough to enable new use cases. This can be done by investing in a comprehensive IoT solution stack. Starting at the bottom of the stack are the devices—being device agnostic is important—then followed by IoT connectivity–local and wide area connectivity that prevents any “dark spots”—the next layer is device management–the ability to manage the lifecycle of an IoT device. The following two layers include application enablement—which means that you can take the information that is being generated to enable use cases which can take the form of purpose built SaaS applications and that can be integrated with your existing enterprise systems— and finally analytics, which can be descriptive, predictive or prescriptive. Picking the right vendor is crucial to ensuring return on investment and cost of ownership benefits. Future proof is also a key consideration. You need a platform which is open, standards-based and agnostic, where you can incorporate IoT technologies and rapidly enable new use cases. The key to this is execution. Our philosophy is to think big, start small with a PoC or pilot, but to scale fast with the infrastructure, platforms and tools. With the right vision, right technology and the right vendors in place, the IoT has the potential to become central to a customer’s supply chain or service operations, driving value and generating ideas for new business services. Companies that embrace it today will give themselves an important competitive advantage over rivals, who prefer to rely on legacy systems and traditional models. Originally published in Logistics Tech Outlook.